According to a study conducted by Google, over 50% of search queries worldwide are conducted via mobile devices. As such, ensuring that your WordPress site loads quickly (and looks great) for those searchers should be a priority. Fortunately, the Google Accelerated Mobile Pages (AMP) initiative makes this task much easier. Using the AMP for WordPress plugin. Via the AMP for WP – Accelerated Mobile Pages plugin. We’ll also explain what WordPress AMP actually is, and discuss how to validate it after the setup process is complete. Let’s dive in! 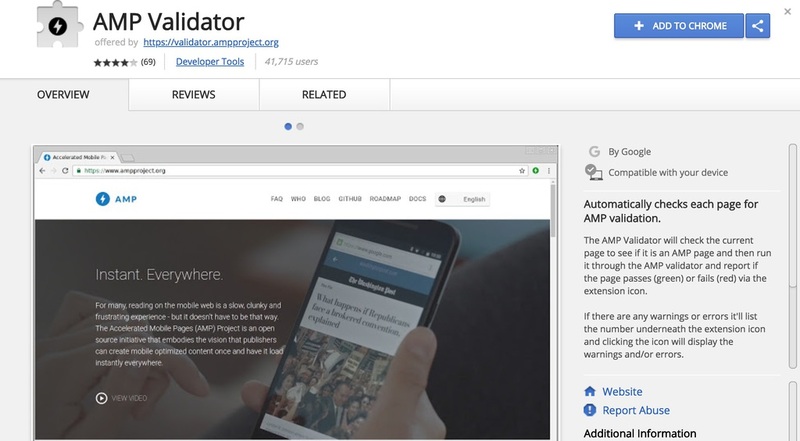 Google Accelerated Mobile Pages (AMP) is an open-source library that helps you create fast, smooth-scrolling, and stripped-down versions of your web pages that look great on mobile devices. AMP is extremely user-friendly, building on existing platforms and frameworks. Plus, it’s fully compatible with WordPress. A boost to Search Engine Optimization (SEO). The most obvious benefit Google AMP provides is boosting speed. Since page speed is a critical factor when it comes to your pages’ rankings in Search Engine Results Pages (SERPs), this can help make your site more visible. Google AMP will also ensure that your site’s pages show up in the Google News carousel, which is prioritized in above the above-the-fold placement on mobile searches (further boosting your SEO). An enhanced user experience. It’s estimated that a staggering 33% of all potential sales fail when a website is not optimized for mobile devices. An even more concerning study found that 57% of internet users said they wouldn’t recommend a business with a poorly-designed mobile website. Google AMP makes it easy to create user-friendly mobile web pages, to help you avoid these pitfalls. Increased server performance. Google AMP benefits from some of Google’s key optimization features. It reduces the bandwidth usage for images by 50% (without affecting image quality) and increases server-side rendering. By reducing the load on your server, AMP helps to improve your site’s performance. Only cached pages are displayed. Google AMP’s high speeds can be partially attributed to the fact that it enables Google to display cached versions of your web pages. For this reason, your users may not always have access to the latest version of your content. Ad revenue capabilities are restricted. Although Google AMP does support ads, the process for implementing them is fairly complicated. 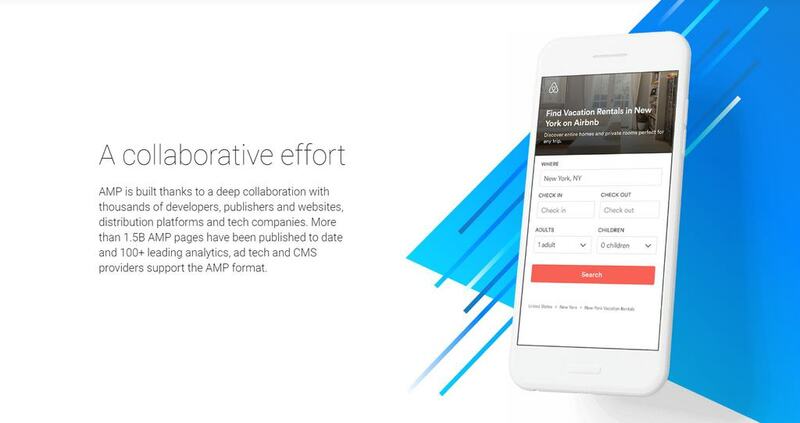 It also has limited integration potential with external ad platforms. If these drawbacks are enough to give you pause, you might consider investing in responsive web design for your site instead. However, if you’re looking for a quick and easy way to make your web pages look and function great on mobile devices, Google AMP is still well worth considering. In the next section, we’ll cover two methods to set up WordPress AMP, with the help of a few handy Accelerated Mobile Pages WordPress plugins. To set up AMP for your site, you’ll need a WordPress AMP plugin. Before proceeding with either of the following methods, we recommend that you back up your WordPress site. Once you’ve done that, you’re all set to begin. The AMP for WordPress plugin is an excellent tool if you want to set up AMP for your WordPress site quickly and easily. Although the default version has a minimal amount of features for customizing your AMP setup, your options can be extended with the help of additional plugins. We’ll cover that process later on. For now, let’s run through how to set up the plugin itself. Here, you can customize the way your WordPress AMP site will display, and preview any changes before you make your site live. You can adjust your site’s text, link, and background color. Plus, you can select whether or not you want a light or dark (i.e. black or white) color scheme for your site. Once you’re happy with your changes, simply hit Publish at the top of the screen. Once there, check the boxes under Post Type Support for the options you wish to include in your WordPress AMP, and click on Save Changes. You’ll probably notice that there aren’t a lot of customization options here. Fortunately, there are several plugins you can use to extend your choices. For example, you can use Glue for Yoast SEO & AMP to integrate the popular Yoast SEO plugin into your AMP setup. Once again, don’t forget to save your changes when you have finished configuring your site. AMP for WordPress is an excellent plugin if you want to add basic AMP functionality to your site. However, if you want more control over your WordPress AMP site’s appearance (and the potential to extend its functionality even further) our next Accelerated Mobile Pages WordPress plugin may be a better fit for your needs. In addition to providing a sleek, beginner-friendly interface for configuring your pages, this WordPress AMP plugin can integrate with many additional tools. These include WooCommerce (the leading e-commerce plugin for WordPress), Alexa metrics, OneSignal push button notifications, and more. SEO: This includes meta description settings, integration with SEO plugins, etc. Performance: There is a single setting for toggling file minification on and off. Minification can further improve the speed of your site. Analytics: Here you can set up integration with Google Tag Manager, as well as analytics options. Comments: This lets you configure whether or not you want to include WordPress, Disqus, and/or Facebook comments in your WordPress AMP. Advanced Settings: You can enter custom HTML for headers and footers, set up mobile redirection, and toggle retina images on and off. Essentially, this is where you can customize the look and feel of your WordPress AMP site. To do this, you can choose a dedicated AMP theme, out of several listed in the Theme Selector drop-down menu. After picking a theme, you can customize the way it looks. You’ll find design settings for color schemes and typography (which are listed in the Global tab), header and footer display choices, homepage sidebar options, and more. In the Social section, you can also select what social media buttons you wish to display on your WordPress AMP site. If you want to enjoy even more advanced features, there are a variety of Pro plans available for this plugin. These range from the Personal plan (catering to one site from $149 per year) to the Agency plan (catering to unlimited sites for $499 per year). Once you’ve configured either AMP plugin for WordPress, there’s one more step to take. You’ll need to validate your WordPress AMP, to ensure that it can be accessed and linked to by supported platforms. Validation is also a handy way to get a readout of AMP errors for troubleshooting purposes. Once you’ve done that, open up your browser’s developer tools console. For Google Chrome, this is the Chrome DevTools console. If any errors are present, they will be highlighted in red, along with an analysis of what caused the error. Typically, validation errors are caused by invalid prefixes, incorrect formatting and code entries, and/or disallowed tags. In most cases, an option to fix the error will be present in the readout. However, the Google AMP project also lists methods for fixing common validation errors if no auto-fix option is present. This tool provides a simple overlay of errors (red icons), as well as their causes. Plus, if you are running AMP validator on a non-AMP page, a blue extension icon will appear linking you to the AMP version of that page. 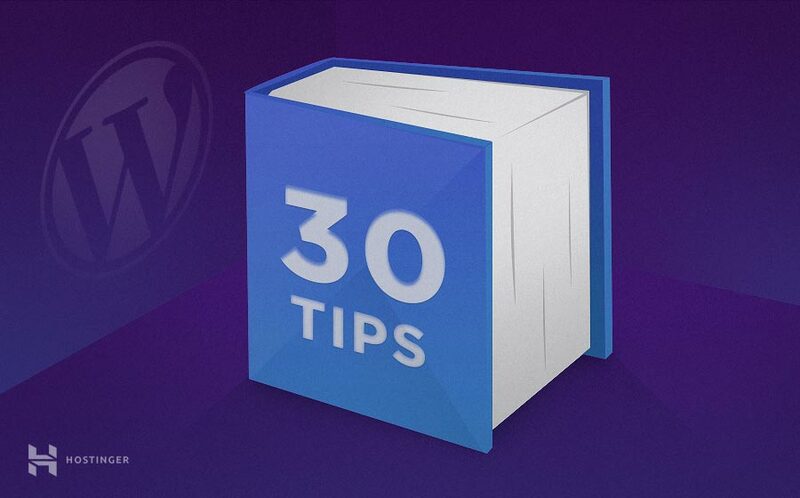 This feature presents a useful way of assessing elements of your site’s theme that may keep WordPress AMP from displaying properly. Even a few extra seconds of loading time could significantly reduce your site’s search engine rankings (and your conversion rates). Fortunately, as we have seen, using Google AMP can help you ensure that your site’s pages load at lightning speed on mobile devices. 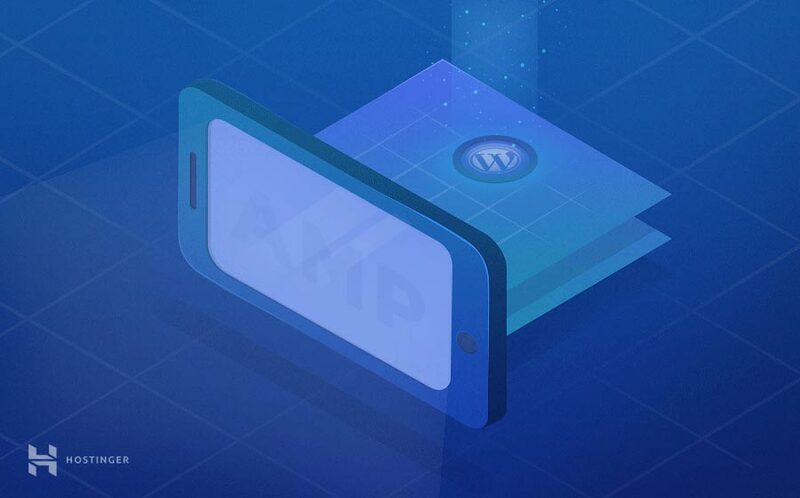 What’s more, configuring and customizing AMP for WordPress is simple and straightforward, as long as you use the right Accelerated Mobile Pages WordPress plugin. Do you have any questions about how to set up either WordPress AMP plugin? Let us know in the comments section below!